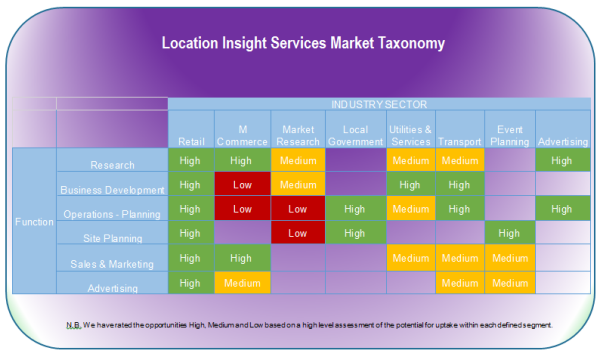 The provision of Location Insight Services (LIS) represents a significant opportunity for Telcos to monetise subscriber data assets. This report examines the findings of a survey conducted amongst representatives of key stakeholders within the emerging ecosystem, supplemented by STL Partners’ research and analysis with the objective of determining how operators can release the value from their unique position in the location value chain. 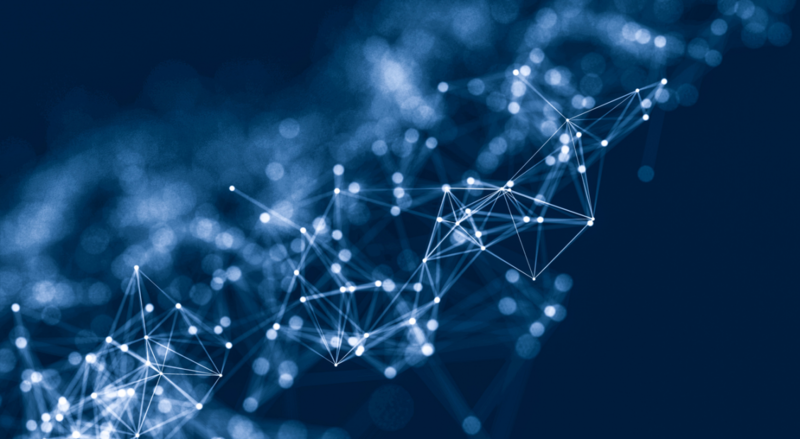 The report concentrates on the Location Insight Services (LIS), which leverage the aggregated and anonymised data asset derived from connected consumers’ mobile location data, as distinct from Location Based Services (LBS), which are dependent on the availability of individual real time data. The report draws the distinction between Location Insight Services that are Person-centric and those that are Place-centric and assesses the different uses for each data set. In order to service the demand from specific use cases as diverse as Benchmarking, Transport & Infrastructure Planning, Site Selection and Advertising Evaluation, operators face a choice between fulfilling the role of Data Supplier, providing the market with Raw Big Data or offering Professional Services, adding value through a combination of location insight reports and interpretation consultancy. The report concludes with a comparative evaluation of options for operators in the provision of LIS services and a series of recommendations for operators to enable them to release the value in Location Insight Services. The ubiquity of mobile devices has led to an explosion in the amount of location-specific data available and the market has been quick to capitalise on the opportunity by developing a range of Location-Based Services offering consumers content (in the form of information, promotional offers and advertising). Industry analysts predict that this market sector is already worth nearly $10 billion. The vast majority of these Location Based Services (LBS) are dependent on the availability of real time data, on the reasonable assumption that knowing an individual’s location enables a company to make an offer that is more relevant, there and then. But within the mobile operator community, there is a growing conviction that a wider opportunity exists in deriving Location Insight Services (LIS) from connected consumers’ mobile location data. This opportunity does not necessarily require real time data (see Figure 9). The underlying premise is that identification of repetitive patterns in location activity over time not only enables a much deeper understanding of the consumer in terms of behaviour and motivation, but also builds a clearer picture of the visitor profile of the location itself. As part of our Telco 2.0 Initiative, we have surveyed a number of companies from within the evolving location ecosystem to assess the potential value of operator subscriber data assets in the provision of Location Insight Services. This report examines the findings and illustrates how operators can release the value from their unique position in the location value chain. In order to understand the market potential for Location Insight Services, we have considered both industry sectors and job functions where insights derived from location data at scale improve business efficiencies. Our research has suggested that Location Insight Services have an application to many organisations that are seeking to address the broader issue of how to extract the benefits concealed within Big Data. 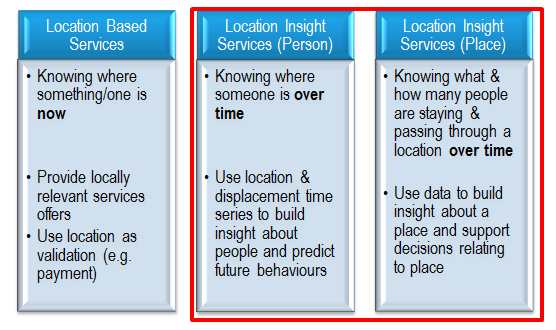 Our research suggests that the following framework facilitates understanding of the different elements that together comprise the market for non-real time Location Insight Services. The matrix considers the addressable market by reference to vertical industry sectors and horizontal function or disciplines. We have rated the opportunities High, Medium and Low based on a high level assessment of the potential for uptake within each defined segment. In order to produce an estimate of the potential market size for non-real time Location Insight Services, STL Partners have taken into account the current revenue estimates for both industry sectors and functions. Which use cases will drive uptake of LIS? How should Telcos “productise” location insights services? What is the operator LIS value proposition? Location insight represents a Big Data challenge for Telcos. What steps should operators take? 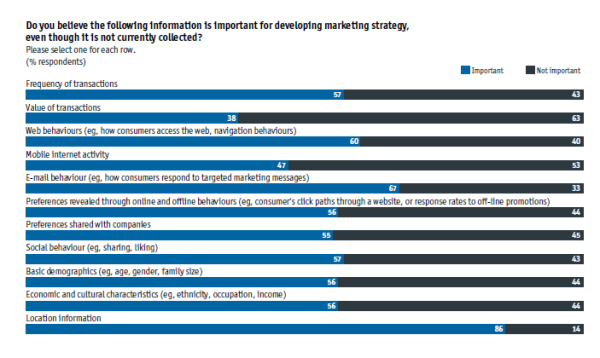 Figure 7: How can Telcos create value from customer data?